Earlier this week, I passed by the newly opened Heights Wine & Spirits located at 4474 Broadway (between 192nd and 193rd Street). I sat down, had a glass of wine and we spoke about the opening of the store, their knowledge of the liquor industry, and how the neighborhood has reacted to them. When did you guys open? How long did it take you guys to build this establishment? It took us about 2 to 3 months. 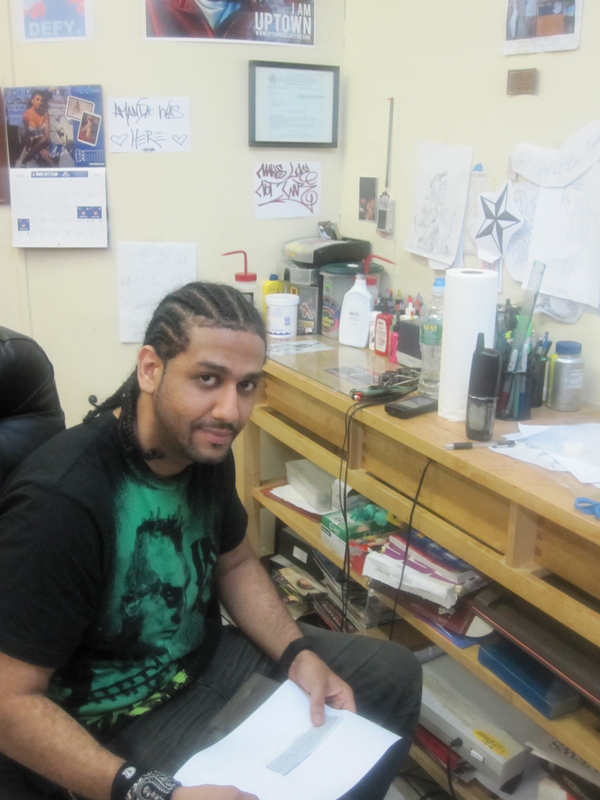 Alexis De Rosario: I am still working as an Air Craft Technician and come to the store at night to help out. 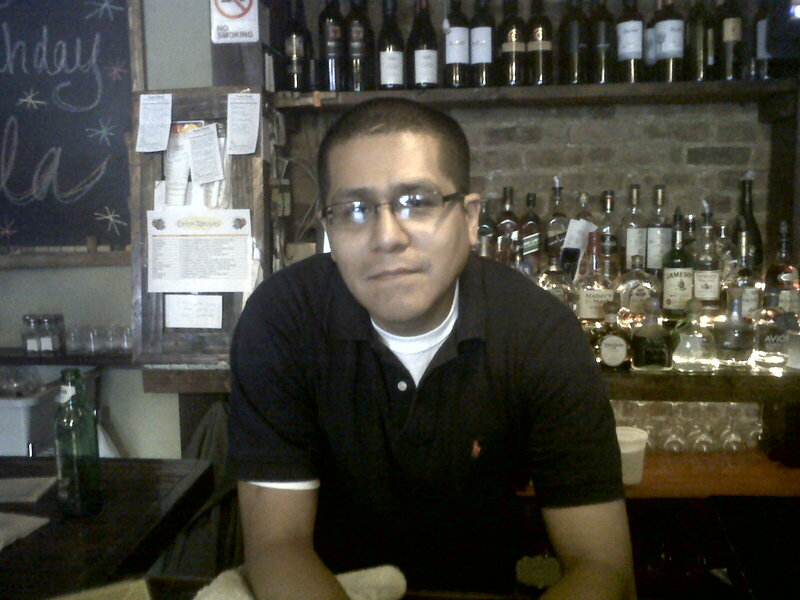 Yency Perez: My parents owned a few liquor stores in the Heights and the Bronx. I learned through my parents and took a long journey of learning across the world to get here. What qualifies you to be experts in the liquor business? Yency: I have a certificate as a sommelier. I learned from the bottom all the way to the top in Miami. I went to school in Montreal, Mexico, and locally at Pace University. In Montreal, I learned from an Italian friend for five years. In Miami, I was in the importing wine business for 10 years. What is your role within the store Alexis? I work mostly on the operational side of the business, though my knowledge of wine has steadily increased throughout the years. What makes you unique in comparison to other liquor stores in the area? We have a very unique look. 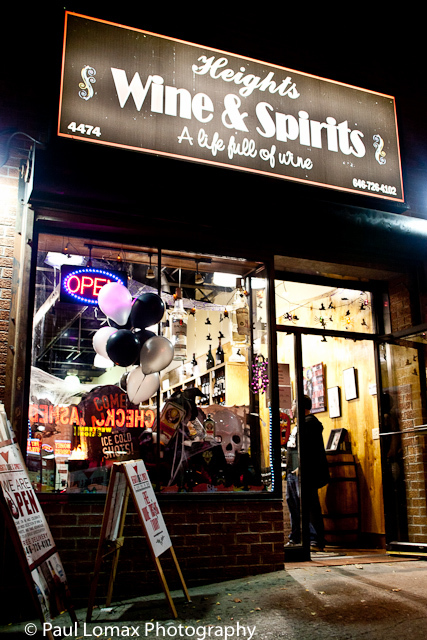 Its not your typical liquor store with the owners behind glass. It’s a neighborhood liquor store where people can actually touch us and talk to us. 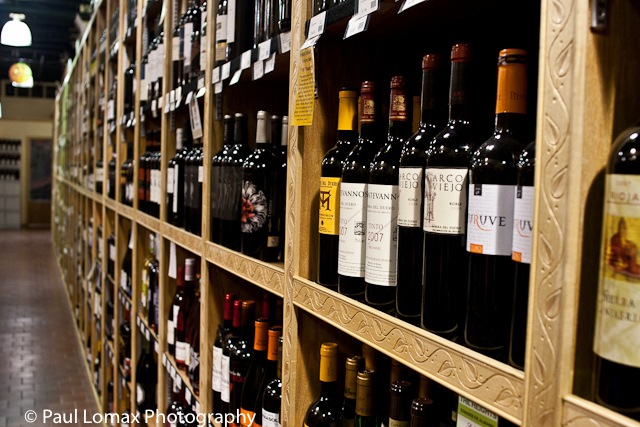 At our store, we understand that many people can’t afford all the great wines. But we have such a huge selection and extensive knowledge of the industry, that we have various alternatives we can offer them. We don’t only think profit. We know that in business money comes and goes. Professionalism doesn’t. It dies with you. 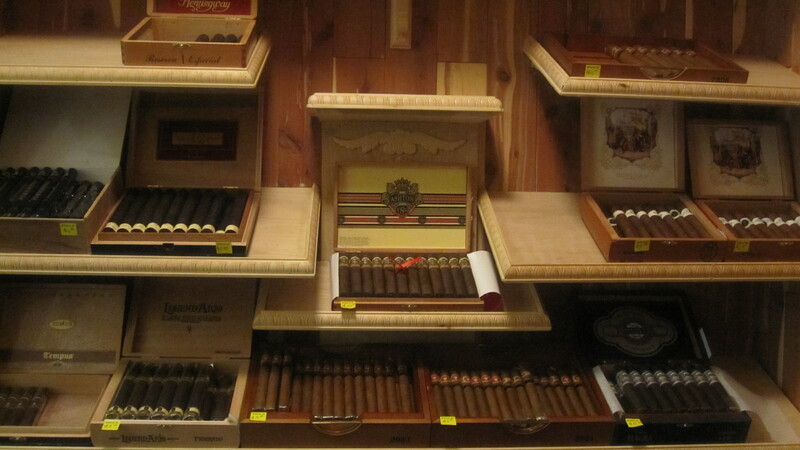 Despite its luxurious and almost upscale feel now, cigars still possess a rebellious and risky essence. It’s a label that has rolled with it through the years, or to be exact—since the 19th century. It was then that the British soldiers returned home from the Peninsula War in Spain with this new obsession. Because they were prohibited from lighting up in public, they decided to conduct their hobby behind closed doors, or divans as they were called. 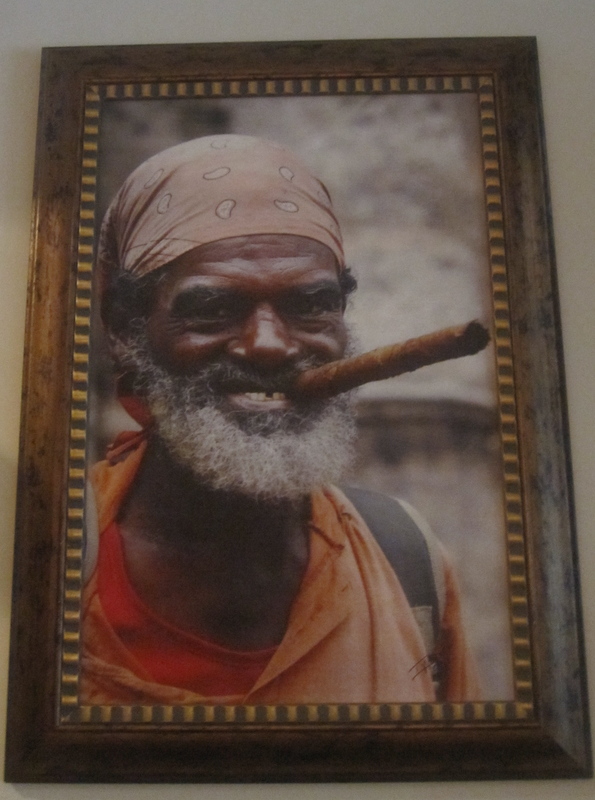 Although cigar smoking is a lot more popular these days and could be done almost anywhere, the relaxed setting set-up from then is still a preference now. Take Uptown’s latest cigar bar, Capas Inc.
As soon as you as enter through the doors of Liquid Skin Studio (165 Sherman Ave), you are transported to another world. A realm where not only is art executed on the epidermis but where art lives, breathes and simply exists. The space has the feel of an everyman’s art gallery. No pretension or false airs here, just art for art’s sake. The proprietor of this enterprise, Miguel “Kron” Moronta, and the folks that keep this establishment running, local graffiti legend Eddie “Cel” Moronta (Miguel’s older brother) and Dro Bateman have created an indigenous, grassroots art haven, dead in the middle of Uptown Manhattan. The shop will also be celebrating its 1-year anniversary in August, so make sure you stop by and show them some love. It’s summertime and that means we’re in the season of blockbuster films. Its also the season of Hollywood studio fat cats getting fatter from record breaking ticket sales. But this particular Summer, in the shadow of these movie behemoths, “a little engine that could” Uptown filmmaker is having a hard time getting his film completed. This is a indie film, no mega star cast, no CGI effects, no national marketing push; this just a film that will base its success on a good story, quality script and fine acting. SIEMPRE FIEL is the name of the film and Carlos Raul Peralta is the filmmaker. The internal battle that a young man has to go through when trying to decide whether or not he should join the Marines in a time of war, is the story. But where is the funding??? Last Saturday, Inwood’s chic and upscale hand and foot spa, NAIL LOUNGE, engaged in a marketing activity that solidified their place as one of the newest, coolest businesses in Inwood. They produced an in store and outdoor promotions, that highlighted the products and works of make-up artist, Blue Michael. 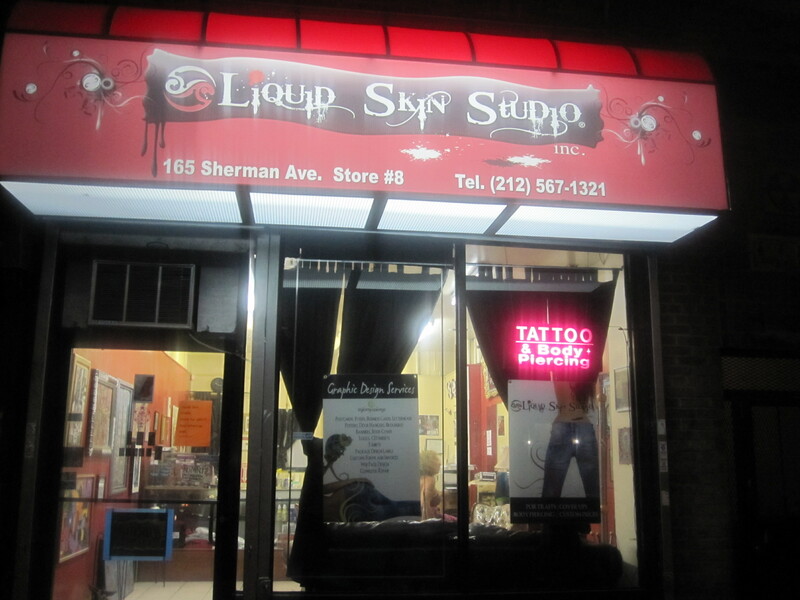 Qiana, owner of Nail Lounge, allowed Washington Heights resident Blue to showcase and even sell the line of organic cosmetics that he developed and owns, which includes lipsticks, blushes and nail polishes. Blue, himself was outside in front of Nail Lounge body painting a male model(who gets major credit for being out there the way he was under the weather conditions). The sight of a nearly naked man being body painted from head to toe near one of the busiest intersection Uptown, drew a crowd and curiosity. Kudos to Nail Lounge for creating this spectacle, thinking and acting outside the box; and to Blue Michael for painting inside the lines. Click here to learn more about the products and services of Blue Micheal Cosmetics. UPTOWN COLLECTIVE: Where are you from? OZZIE PEREZ, TREAD BIKE SHOP OWNER: I want to say I’m from 183rd, 184th, 189th. 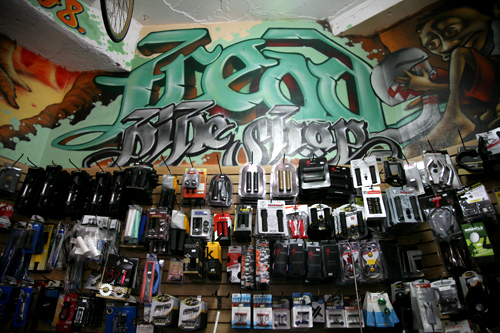 What is Tread Bike Shop? The shop is a place created to give Uptown the cycling service we (uptowners) deserve. Before Tread we had to go downtown to get the kind of service my boys and I needed due to our cycling ability and the quality of our bikes. 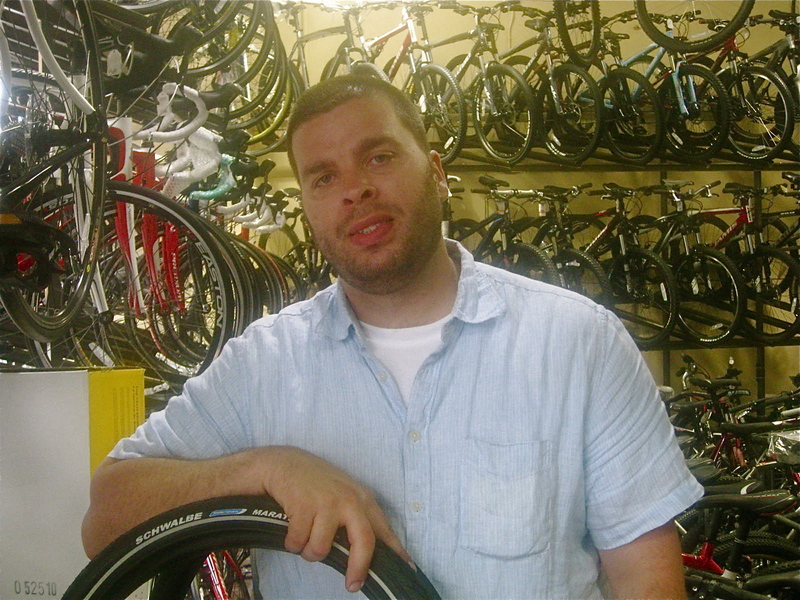 How did Tread Bike Shop come to be? A few friends and I were doing a public access TV show on Mountain biking called Tread DOGZ and the shop sponsoring the show was on 88St. ( my friend worked there, we’ll get back to him later) . 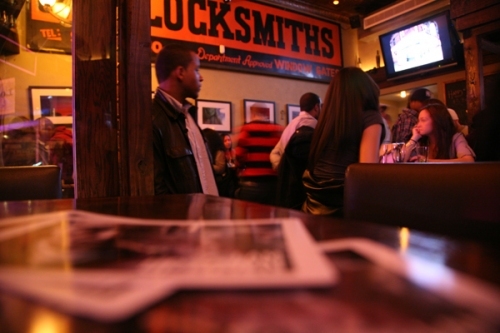 I thought to myself, we have to go all the way downtown for real service, that was wack. Another friend of ours lived on Seaman Ave. and told us about the block where we originally open was almost completely empty, I could probably get a store front for cheap. I said Dyckman would be perfect cause it would be smack in the middle of the 2 shops that were uptown at that moment(1998).which were SID’S @ 230St./ Bway & Victors Bike repair 175St./ Bway. And so it was written, I had some savings and I went for it. Second year in business I had to invest some more money but from then, it was on.